The developer of a Superconducting Maglev system (SCMAGLEV) that would connect Washington and Baltimore in 15 minutes was approved to acquire a passenger railroad franchise previously held by the Washington, Baltimore and Annapolis Electric Railroad Co. The railroad franchise was abandoned in 1935, with approval of the Maryland Public Service Commission. 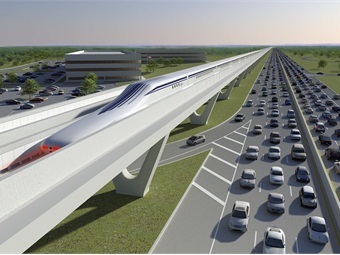 The developer, Baltimore Washington Rapid Rail (BWRR) is working with The Northeast Maglev (TNEM), a U.S. company that is working with the Central Japan Railway Co. to promote the SCMAGLEV system in the Northeast Corridor. "We are pleased that the Commission recognized the tremendous benefits of the SCMAGLEV system for greater Baltimore and Maryland. The transfer of this railroad franchise is an exciting first step in making this transformational project a reality," said Wayne Rogers, Chairman of BWRR and chairman/CEO of TNEM. "We look forward to working with Federal, state and local government officials and other stakeholders to move this project forward." SCMAGLEV is the world's fastest and safest transportation solution, available today, and is truly the future of high-speed transportation, according to the group. SCMAGLEV will provide frequent, reliable service that will fundamentally improve our region — creating jobs, enhancing access, and reducing road congestion and emissions. 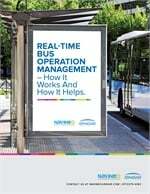 The service will also enable unprecedented connections between city centers and major airports and connect Baltimore and Washington in 15 minutes. In September, BWRR and TNEM opened a new headquarters located in the heart of Baltimore's central business district, investing in a closed building and renovating a historic site, which illustrates the economic development benefits that the project will bring. In the coming months, BWRR and TNEM will focus on conducting an Environmental Impact Statement process, which will help determine routes, Federal Railroad Administration safety reviews and Surface Transportation Board construction reviews.